MacuView is specialized nutrition for the prevention and inhibition of progression of Age-related Macular Degeneration (AMD). The product is based on a patented formulation of egg-yolk and dairy, and contains all-natural ingredients, including lutein, zeaxanthin and DHA (omega-3). MacuView is a dissolvable powder formulation, which can be easily reconstituted to a palatable beverage with a unique bioavailability. 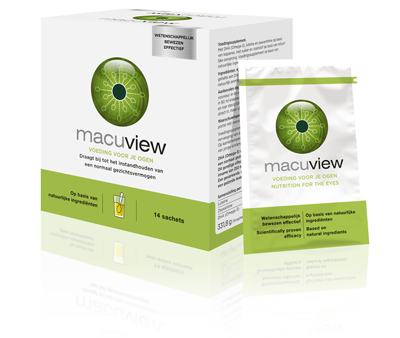 Scientific studies have shown that MacuView is effective and well tolerated in long term daily consumption.